It has taken two years to arrive at at this verdict.. I'm thinking that, even if Knox does appear her recent guilty verdict, she will be eating prison food for a long time in the future. The verdict is arrived. Amanda is guilty, according to Italian court of Perugia. Now, The problem is that a senator and Clinton made complain about what was done by Italian judge. Please read my last post. Every comments will be appreciated. Aye Clelia, for real, because she is American she should be imprisoned on for 26 years on questionable evidence at a flawed trial, in the same way so many muslims were/are imprisoned in Guantanamo without trial because they are muslims, or people are wrongfully imprisoned in the UK because they have learning difficulties and nasty habits but were in the wrong place at the wrong time, or gays are executed in Iran because they are gay. A bad trial is a bad trial whoever is convicted. Injustice is injustice end of story. Every country has it, every nationality suffers, most of the time they are poor, sometimes, but not often, they are quite wealthy. 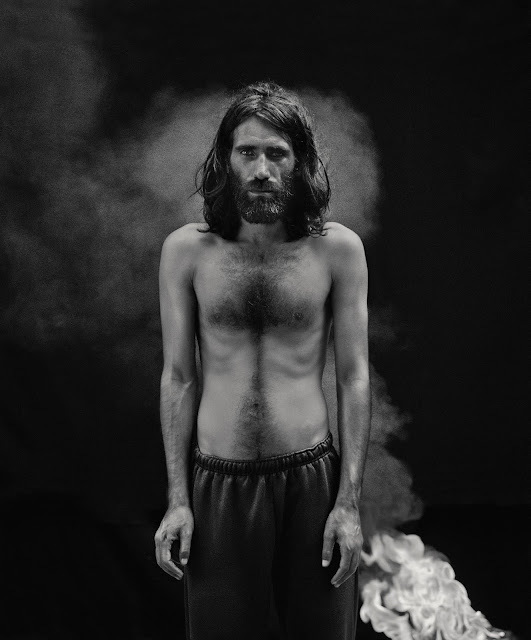 Listen to yourself - come on. 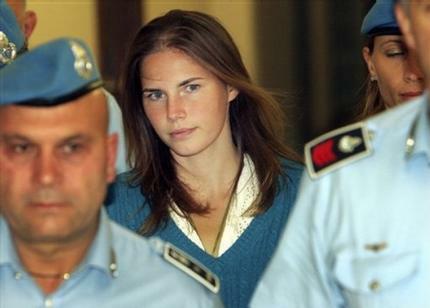 Amanda Knox and Raffaele Sollecito repeatedly told the police a pack of lies in the days after Meredith's murder. Knox accused an innocent man, Diya Lumumba, of murdering Meredith despite knowing full well that he was completely innocent. She didn't recant her false and malicious allegation against Lumumba the whole time he was in prison. Rudy Guede's bloody footprints lead straight out of Meredith's room and out of the house. He didn't lock Meredith's door, remove his trainers, go into Filomena's room or the bathroom that Meredith and Knox shared. Rudy Guede didn't scale the vertical wall outside Filomena's room or gain access through the window. The break-in was clearly staged. This indicates that somebody who lived at the cottage was trying to deflect attention away from themselves and give the impression that a stranger had broken in and killed Meredith. There was no physical evidence that Rudy Guede went into the blood-spattered bathroom. However, the scientific police found proof that Knox and Sollecito tracked Meredith's blood into this bathroom. 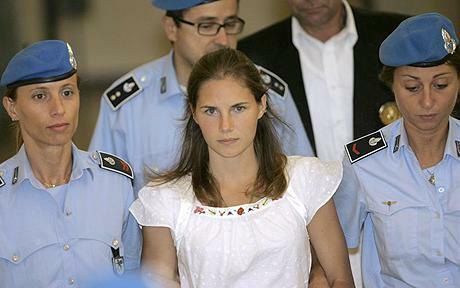 Amanda Knox’s DNA was found mingled with Meredith’s blood in three different places in the bathroom: on the ledge of the basin, on the bidet, and on a box of Q Tips cotton swabs. Amanda Knox left a bloody shoeprint on the pillow under Meredith's body. Amanda Knox's DNA was found on the handle of the double DNA knife and Meredith's DNA was found lodged in a tiny groove on the blade. Sollecito knew that Meredith's DNA was on the blade which is why he twice lied about accidentally pricking her hand whilst cooking. Thanks Harry - nobody doubts that Amanda Knox is not the best witness - but that is not enough reason to jail them for half a lifetime. Apply your critical gaze to the Italian legal system and come up with a balanced consideration; the evidence gathering and DNA is not necessarily as safe as you imagine. Here in the UK we have had a few trials where people have been caught red-handed with DNA/forensic evidence that sent them down for life - only for that evidence to turn out completely and utterly unsafe. The Barry George conviction is a case in point - people where screaming from the start about that the trial and evidence stank - but George was an unsympathetic suspect to say the least so it took him a few years before he was released. We have a long history of miscarriages of justice in the UK - and the unsympathetic/fantasist character profile is a common feature to many of the cases. As it is in the Knox trial. Giving multiple conflicting alibis and lying repeatedly to the police will always be considered a clear indication of guilt. Why do you think Knox and Sollecito gave three different alibis and repeatedly told the police a pack of lies? Do you have any specific criticisms of the evidence gathering and the DNA evidence in this case? The Barry George conviction isn't a case in point. There was no DNA evidence. There were no multiple conflicting alibis. There was no computer forensic evidence. There was no mobile phone evidence. There was no luminol evidence. There was no bloody footprint evidence. Would you care to support your claim that there is a long history of miscarriages of justice in the UK with some actual proof? Criminal profiling wasn't used in this case. I suggest you read the whole report carefully before commenting. Thanks Harry. I'll have the last word. I really don't know if Amanda Knox is as guilty as you and others say she is. But I always remember people saying how guilty nasty Barry George and various Muslim, Irish and other ne'er-do-wells were. And I remember the evidential, forensic and police evidence that really nailed these people - but the nasty smell that always accompanied the trials, but that people happily ignored. With the result that the truly guilty people escaped their punishment - that is another side of the tragedy. And of course it works both ways - how about Ian Tomlinson. Who killed him? Are you seriously suggesting that there is not a long history of miscarriages of justice in the UK (or any other country in the world for that matter)? Or that the Italian legal system is a model of justice and integrity? Is that what Mr Berlusconi says? As I said, the last word.